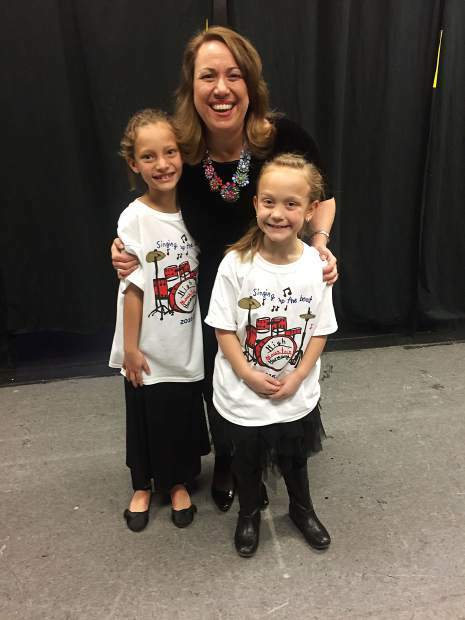 High Mountain Harmony choir members Hailey Lapin, now a third-grader, and Mackenzie Sebenaler, now in fourth grade, share a smile with Marnie White, music teacher and choir director at Aspen Elementary School. The Colorado Music Educators Association is singing praises for Aspen Elementary School’s second- to fourth-grade choir. High Mountain Harmony recently was given the accolade “Honor Performing Group” by the Colorado Music Editors Association, following a highly selective audition process from a field of more than 130 public and private schools, K-12, throughout the state. The Aspen choir was the only elementary school in the state chosen to receive this honor. 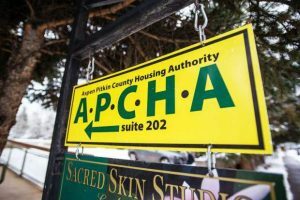 High Mountain Harmony is open to all students at Aspen Elementary School in grades two, three and four. Students voluntarily rehearse about 16 times during the school year and traditionally give two concert performances in December and March. Last year’s choir numbered 170 students, with almost half the eligible student body participating in choir. Helping White and Weiss with the choir is Aspen High School music teacher Kyle Jones.